What and How Do We Study? The composer John Cage said, “Anything can be art, all you have to do is change your mind.” But if we ask, “what is painting?” or “what is drawing?” or “what is photography?” we need a different answer. The point is that painting and drawing and photography are each something particular. They are joined by a shared visual language, and at the same time identified by their unique characteristics. Our endeavor as visual artists is to gain awareness of that visual language, and to acquire virtuosity in expressing those characteristics powerfully. At the Studio School we question, explore and experiment in searching out painting, or drawing, or photography in terms of individual expression and meaning. Through our work as well as through lectures and discussion, we begin to find identity as genuinely contemporary artists, while also discovering our roots in the continuum of art. The San Francisco Studio School is small by design, to create a supportive context for significant interaction. The curriculum is both rigorous and spontaneous; challenging and accessible. We discover that as we study one thing, we also learn another, because the visual arts are a unity of deeply felt relationships. Technical matters become a pathway to expression. Expressiveness searches for significant form. Color creates space and leads emotion. Continuity of thought and constancy of effort provide us progress, and piece-by-piece we find real answers to our questions and substantial direction in our work. 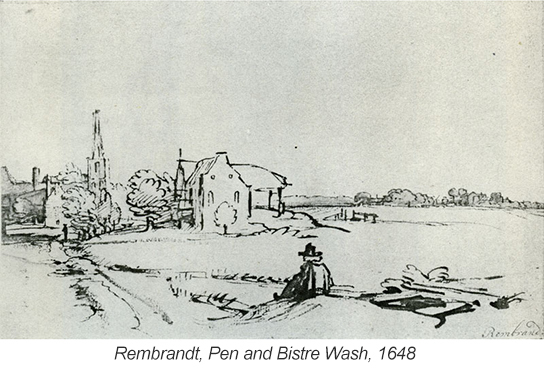 Click here to read "Notes on The Clothed Figure in Landscape"